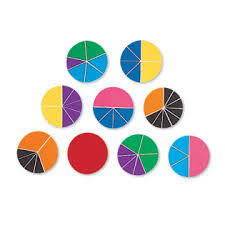 Designed to help students visualise and understand fraction concepts, the colour-coded pieces help reinforce connections between equivalent amounts as children simply piece together the circles. These hands on circles divide into 1/2, 1/3, 1/4, 1/5, 1/6, 1/8, 1/10 and 1/12 and one whole. 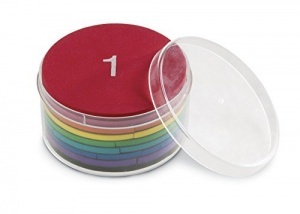 Ideal for adding, subtracting and comparing fractions. Includes plastic case and Teacher's Guide.